The Housekeeper, Inc. is a family owned business that has been providing quality house cleaning services since 1997. 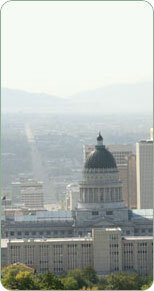 Based in Salt Lake City, it services the Salt Lake Valley from North Salt Lake to Draper, including the Inmigration Canyon area. We also provide services to Jeremy Ranch, Park City and Deer Valley. The Housekeeper, Inc. is fully insured and bonded, providing liability and property damage coverage as well as employee bonding, and workers compensation insurance. All our employees are screened for your protection.